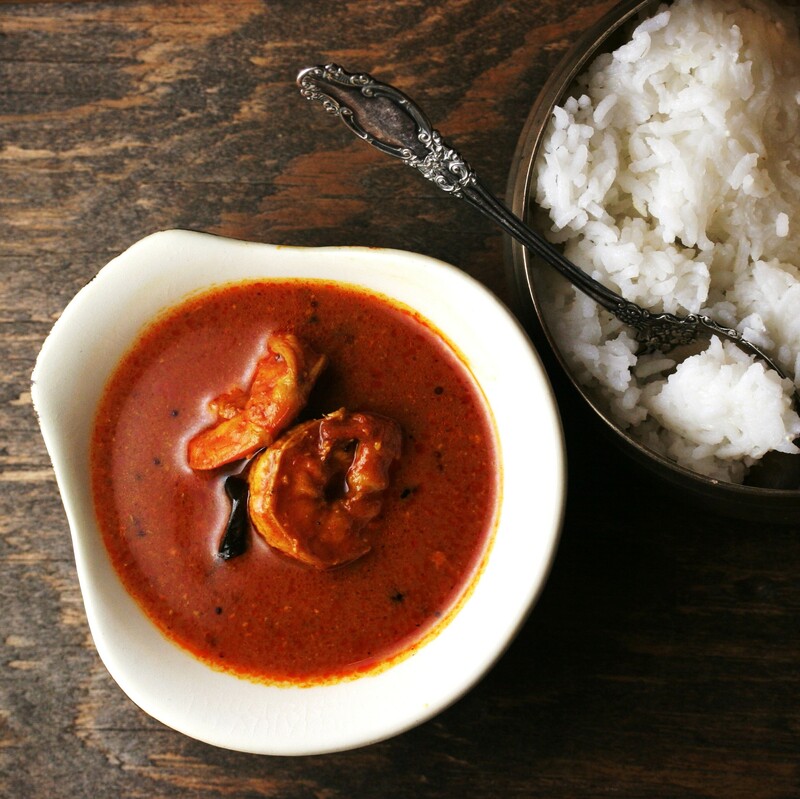 If you are fond of spicy south Indian flavors of seafood curries, this is a version that you will absolutely love. Meet “Puli Munchi” – Mangalorian version of hot and sour curry. Recently a friend from Mangalore shared this recipe which i tried at home with results that matched the Bar & Restaurants back home. I grew up eating a fried and dry version of this which is typically made with mackerel or pomfret. This is very popular in non-vegetarian restaurants in Mangalore, Udupi and Kundapur regions of South West India. I like to use shrimp as it is very easy and quick to prepare. For people who are hard pressed for time like me, it is best to make the puli munchi paste in small batches and refrigerate it. You can use it for a multitude of recipes including chicken and seafood curries. It is very important that you use the Bydagi Chillies from Karnataka. This is now available in Indian groceries stores in the USA!! great now i do not have to carry a bag full of these chillies when i travel back home! 1. Soak the tamarind in water for about an hour and extract the pulp. 3. Use little water and grind the above to a fine thick paste with tamarind. 4. Heat oil in a pan. Add the mustard seeds, curry leaves, crushed garlic, when they splutter, add the paste, water as needed, salt and bring it to a boil. 5. Add the shrimps and simmer for 5 to 8 minutes. 6. Serve hot over rice. hw many big chillies n small chillies v need t put..? ?